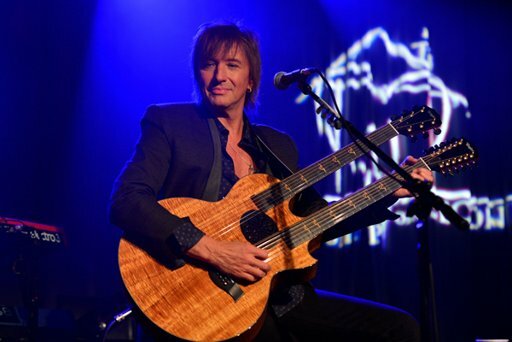 Richie Sambora won't be joining Bon Jovi tonight in Edmonton, Alberta, or on any of the rest of the dates the band has scheduled through April 25th on its "Because We Can Tour." Bon Jovi cited "personal issues" on their website as the reason for the guitarist's absence, and all scheduled shows will go on as planned. No other information was given. While it's unclear what Sambora's "personal issues" involve, the guitarist has dealt with substance abuse before and has gone to rehab on multiple occasions. Before the announcement, Sambora tweeted that he was watching cover videos of his solo track "Every Road Leads Home to You" from a fan contest. Bon Jovi's latest album, What About Now, was released last month, and they'll wrap up their current North American leg on April 25th in San Jose, California.